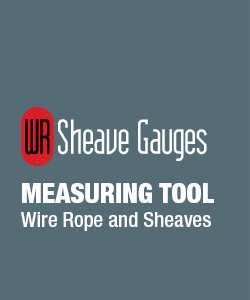 WR Sheave Gauges, Ltd. guarantees our products; if an item hasn't met your expectations, you can apply for a refund. If you have any questions about our guarantee, please, email us using our Contact Form or call us at 1-877-343-5938. Within Canada: Returned items must be sent via insured, prepaid Regular Post. Please ensuring your return allows you to track your parcel. Please Note: We cannot accept CODs or courier deliveries. Outside the Canada: Ship goods prepaid, by insured ground or air shipping. To avoid unnecessary delays, please write “Canada Goods returning” on the outside of the package. Please Note: Do not return items by UPS or other carriers, as duty and/or brokerage fees will be charged, and your return will be refused by WR Sheave Gauges, Ltd..
For all other returns contact us first using our, [email] or call us at [phone].